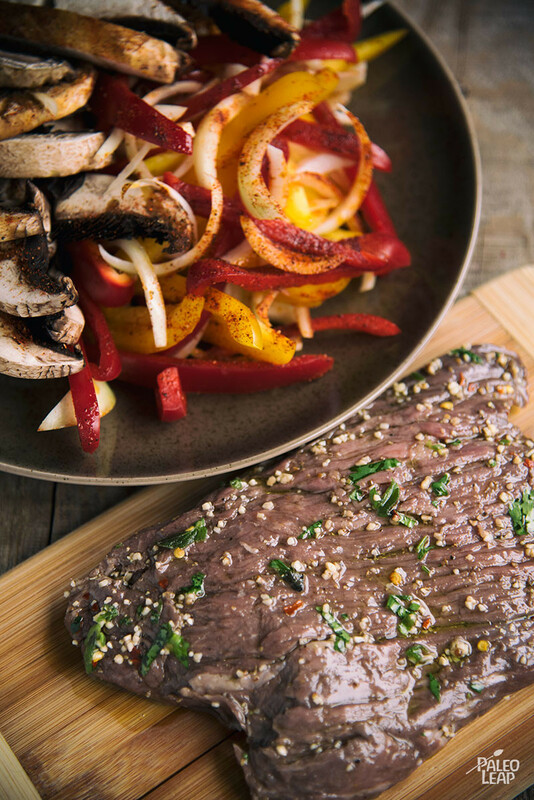 Grilled steak is a Paleo classic, but without any vegetables it can get a little too carnivorous – why not cook up the vegetable side at the same time, with complementary seasonings? 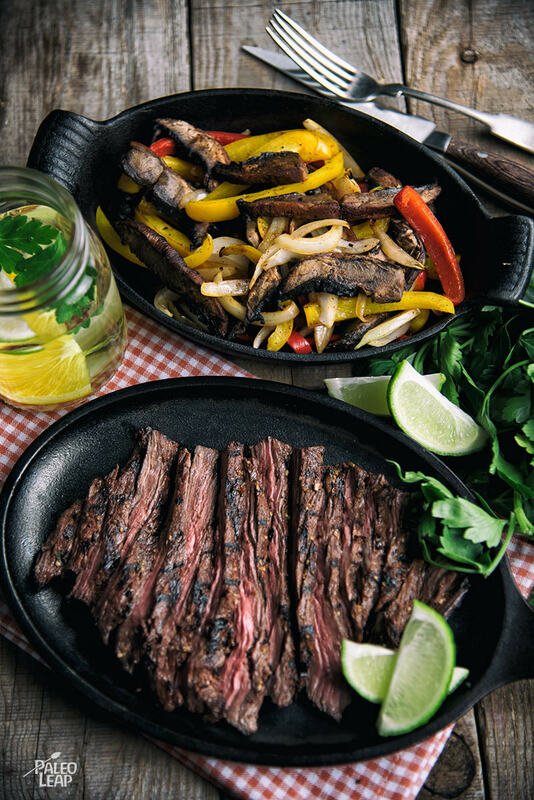 For this recipe, the main event is the steak, but a side of pan-fried Portobello mushrooms and colorful bell peppers fills out the plate in style. As a cooking method, grilling tends to raise fears of carcinogens formed by the high heat, but the actual evidence here is murkier than you might think, and there’s a solution! Rubbing the meat in an antioxidant-rich rub or marinade before grilling helps protect it from heat damage, so slather on that olive oil and spice mix! Both of them are full of antioxidants that help protect the fats in the meat. If you have any leftovers, this would also be good cold – or throw it into some beaten eggs to make a frittata or an omelet with a fresh-off-the-grill flavor. In a bowl, combine the lime, olive oil, cilantro, chili(es), garlic, oregano, cumin, and salt and pepper to taste. Pour the marinade over the steaks, and let marinate for 30 minutes. Grill the steaks on both sides to your desired doneness (about 3 to 4 minutes per side for medium rare). Let the steak rest for a few minutes. Heat the olive oil in a skillet over medium heat, and cook the onion and bell peppers for 2 to 3 minutes. Add the mushrooms, taco seasoning, lime juice, and salt and pepper to taste. Cook for 4 to 5 minutes stirring until it starts to soften, but is still firm. 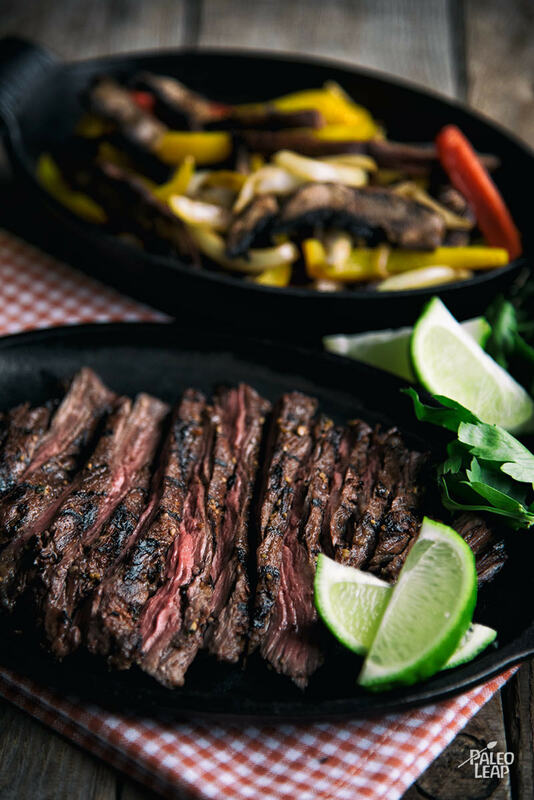 Slice the steak against the grain, and serve with the portobello and vegetable medley.